I hope you have enjoyed the blog hops that I’ve posted over the past couple days. Now on to the second in my series of Stamp Sundays. My daughter chose the Aspire Stamp Set for me this week. It was a great selection because I bought this specificaly to do some of her dance pictures and yet the stamp set went in my stash and the pictures have yet to be scrapped. So now is the time! Supplies used: Bo Bunny Midnight Frost Collection Pack, CTMH Aspire Stamp Set, CTMH Pacifica ink, KI Memories flourish borders, CTMH Designer Brads – Rhinestone, and Bling Assortment. 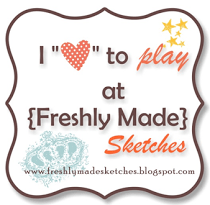 Sketch from Sketches for Scrapbooking Volume 8. 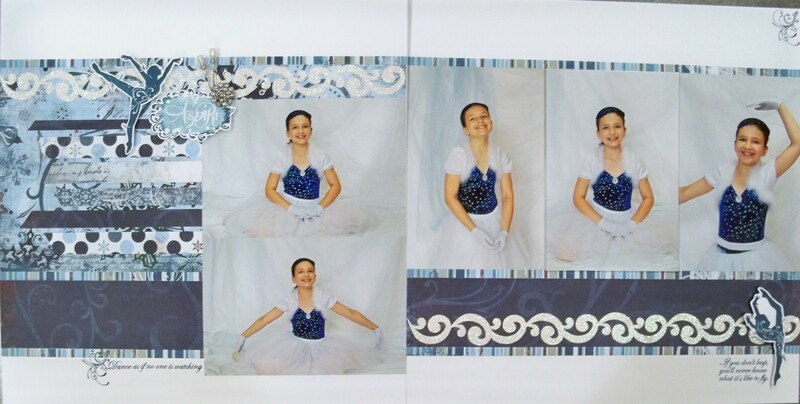 I just love scrapbooking dance pictures! A friend and I decided to set up a backdrop and take our own dance pictures. I’m not the best photographer but I know my children and the traditional pictures seem so posed. I like pictures that capture their personalities so I’ve decided I’m the best person for this. I love these pictures so much that I have put off scrapbooking them. I think the layout turned out nice and my daughter will be happy to see the finished product of her choice of stamp.